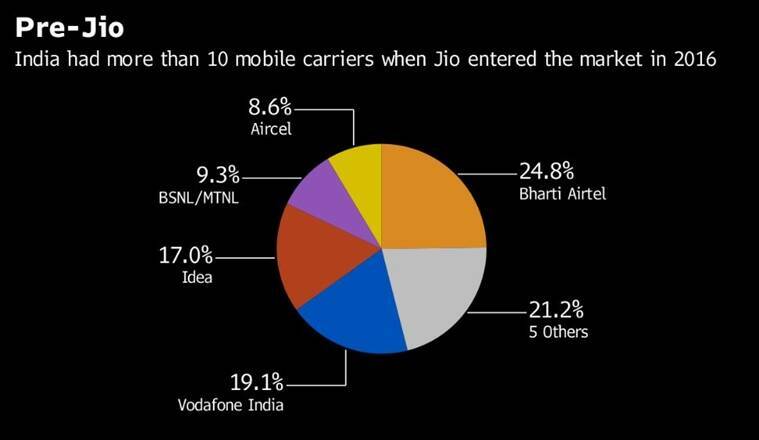 Meanwhile, Reliance Jio, a unit of Ambani’s energy-to-retail conglomerate Reliance Industries Ltd., has reported two-quarters of profit, driven by subscription growth that has continued even after the company began charging for data services. The company is due to report earnings Wednesday. 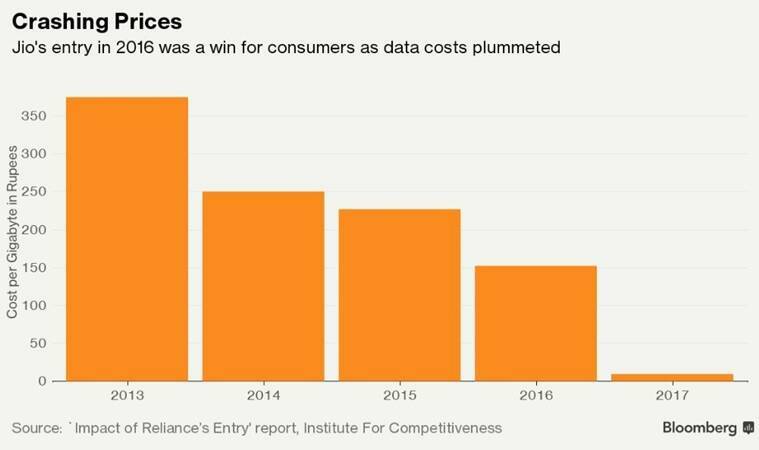 Consumers have been the clear winners, as the cost of sending and receiving data wirelessly has plummeted. 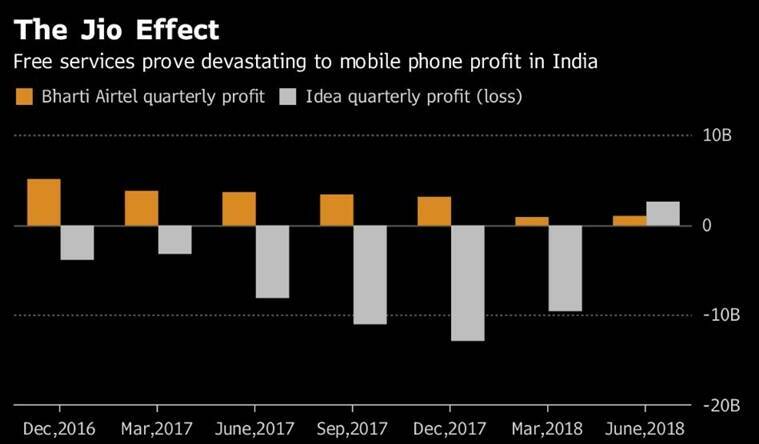 The plunge in prices has led to surge in data traffic to 1.5 billion gigabytes a month last year, according to Amitabh Kant, chief executive officer of NITI Aayog, India’s government policy think tank. 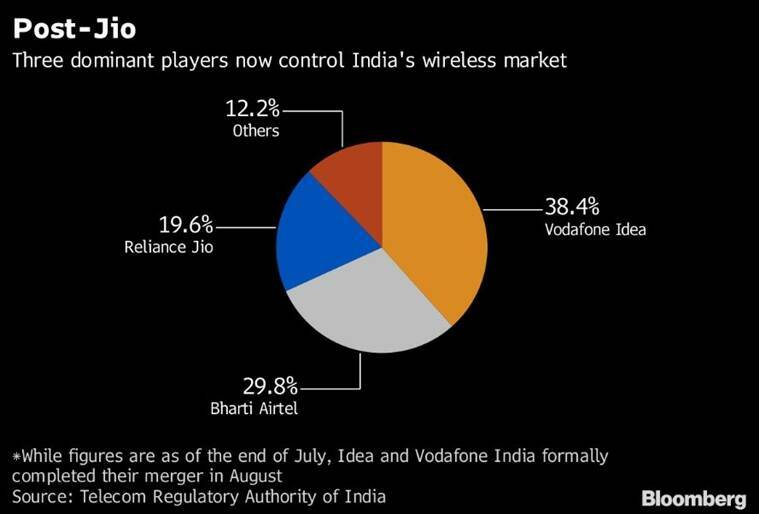 Prior to Jio’s entry into the market, India had more than 10 wireless providers, with the smallest five accounting for about 21 per cent and Bharti, the largest, taking up 25 per cent.